Kaitlin Fights in CA this weekend! 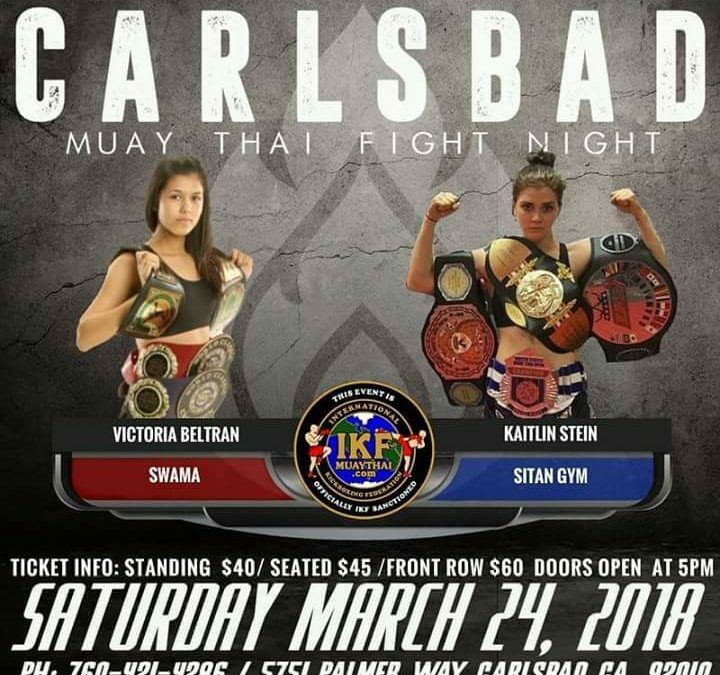 Kaitlin Stein will be going head to head this Saturday in Carlsbad, CA against Victoria Beltran. This is a 5 round title fight and promised to be a great one! We do have tickets available in the office, $45.00 cash, come pick yours up today.